Job platforms can search and find. Or can they do more? What if one could increase the quality and accuracy of your results? What if one had an intelligent matching system that points out what qualifications you are missing, offers you the appropriate trainings to get them, and then puts you in touch with the top companies? 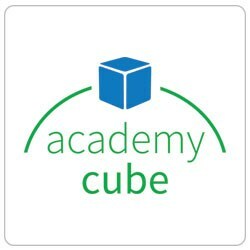 Academy Cube is a job and an advanced training platform bringing talents and companies together. The European Commission expects that more than 900,000 specialists will be missing in the ICT sector (Information and Communication Technology) between now and the start of 2015. On the other hand, tens of thousands of young talents in Europe are well qualified and looking for jobs in technical fields. Academy Cube offers practical elearnings provided by the companies themselves along with university and training partners. The courses are relevant to the companies and most are offered for free. Catch the eyes of senior recruiters at multinational companies, train yourself and start your career with your dream job at one of Europe’s top employers. > Introduce yourself and demonstrate your professional expertise. > Develop new job skills that will bring you closer to your dream job - for free. > Build relationships with important contacts for your career. > Apply for positions with Europe’s top employers. > Let them find you. Recruiters and employers from all over Europe are looking for people just like you.